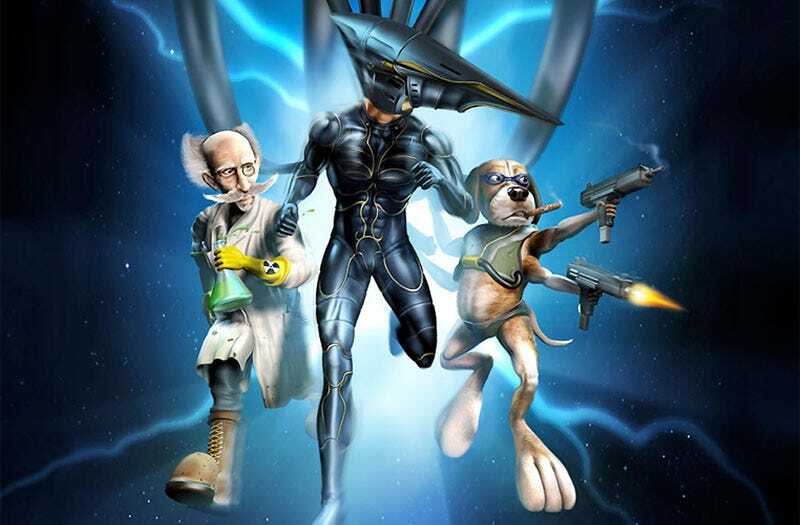 The latest Interplay game to make the leap to Nintendo's WiiWare service is MDK2, BioWare's shooter from the year 2000, joining other WiiWare-bound re-releases like Clayfighter and Descent. But that's not all Interplay and developer Beamdog have in store. MDK2 will also be exhumed in high-definition form for the PC as MDK2 HD, thanks to some of the original game's dev team, including former BioWare co-founder Trent Oster. They'll be releasing MDK2 HD via the Beamdog digital distribution platform (oh?) after the WiiWare version ships sometime this winter. Interplay probably won't stop at Earthworm Jim, Stonekeep, MDK2 and the rest of its announced in-development games, going by the long list of properties it brags about. Don't be surprised if we see many, many more Interplay games showing love to WiiWare.